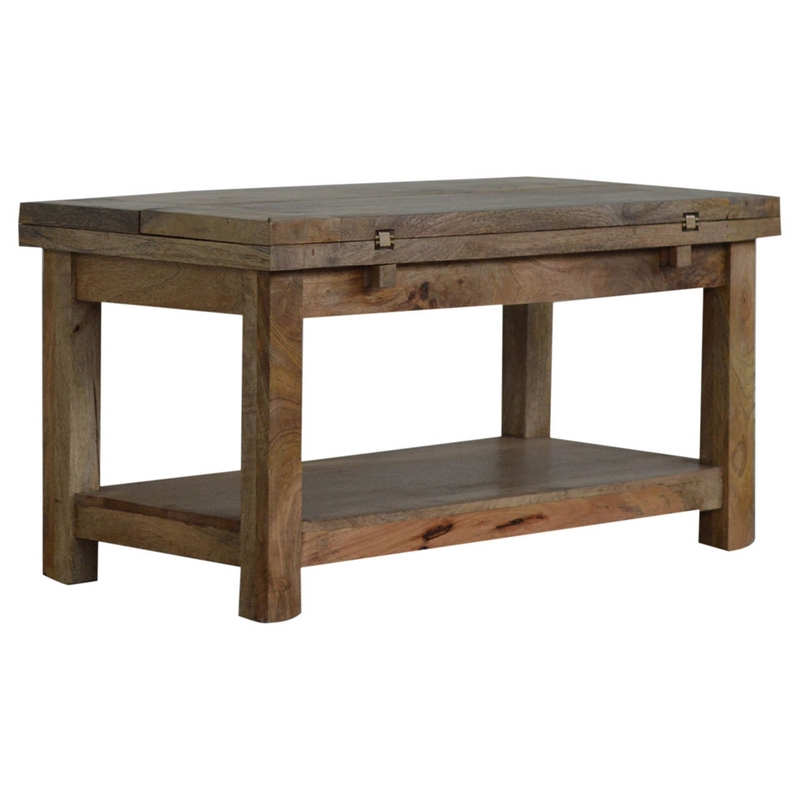 Featuring a gorgeous oak effect finish which will bring a whole new look to your home, this 4 Handmade Extendable Coffee Table has been handmade with a high level of skill and care, a beautiful addition to any home. Complemented with shiny brass knobs along with its expertly crafted wooden finish, this coffee table will look stunning in any home providing you with plenty of storage space due to it's under table shelf. It can also be extended to give you up to 47cm extra table top space thanks to its expertly made butterfly mechanism.